Forgive me, but I’m in the midst of a full blown cookie butter obsession. Add that to my love for protein powder pancakes, and it only makes sense that I combine the two into what you’re looking at here. 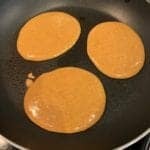 These 4-ingredient protein powder pancakes are light, fluffy, and loaded with that great Speculoos flavor. 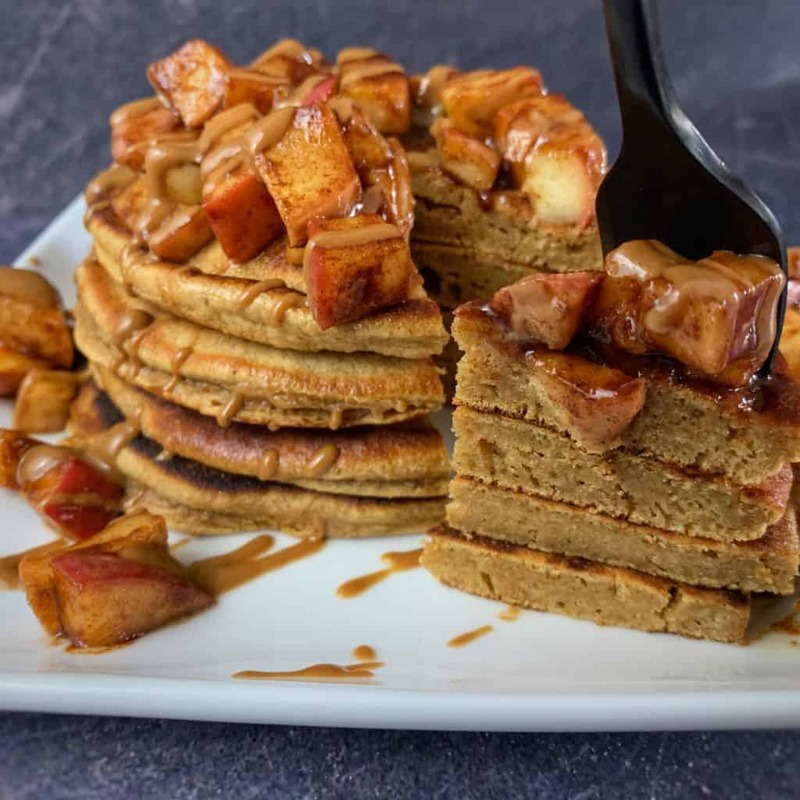 Each pancake has 18 grams of protein, just 15 grams of carbs, and the option to smother them in brown sugar cinnamon sautéed apples. I’ll briefly touch on everything you’ll need for the pancakes and a quick note on modifications. 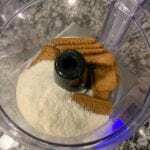 Also known as Speculoos, these cookies are found in most grocery stores. If you have trouble finding them, however, any shortbread cookie should work fine for these pancakes. I’ve included grams in the recipe so you’ll know how many to use if the cookies are a different size. 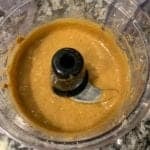 I’ve also been asked about using straight cookie butter instead of the cookies. If you wanted to go this route, I’d use 1/4 cup (60g) cookie butter, omit the light butter, and use some type of flour in place of the cookies. I used Bowmar Nutrition Frosted Cookie for these pancakes. If you’re using a different protein powder, be sure to take note of the scoop size. Three scoops of this protein weighs 84 grams so be sure to either weigh your ingredients or adjust your scoops as necessary. And if you’re using a whey isolate or plant based protein, you may need to add a bit more fat since these protein powders are notorious for making dry and tough food during cooking. If you need a dairy free alternative, you could use any fat source in place of the butter. 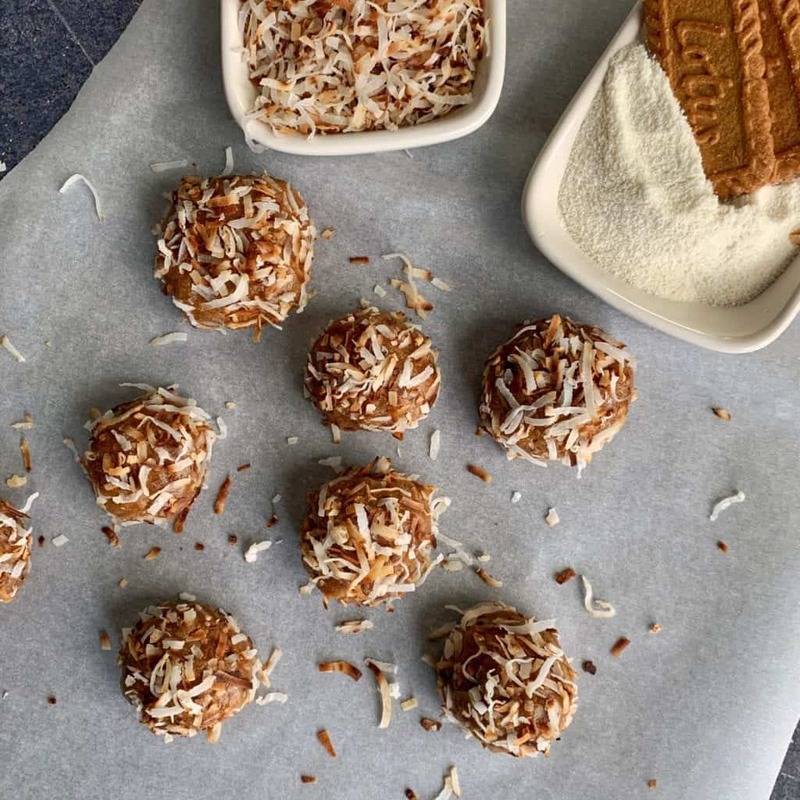 My no bake cookie butter protein balls use coconut oil, as an example. You could even try using 2-4 tablespoons of unsweetened apple sauce. I wouldn’t play around with this ingredient if possible. The only thing I might suggest would be replacing 1-2 eggs with egg whites to reduce the fat and calories of the pancakes. This will make the pancakes slightly less fluffy and moist, but that’s trade off you might be willing to make for a lower calorie recipe. 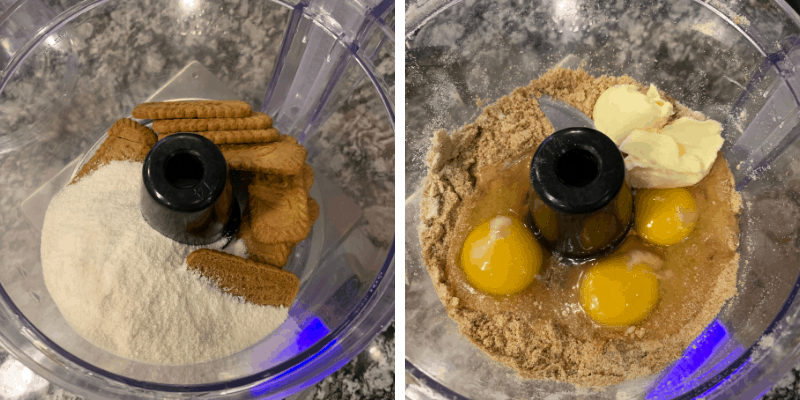 The Biscoff cookies and protein powder come into play as the structural ingredients for yoru pancakes. You’ll blend these two together before adding the eggs and light butter to finish your pancake batter. Once everything is mixed, heat up a pan and get to cookin’ your protein pancakes. 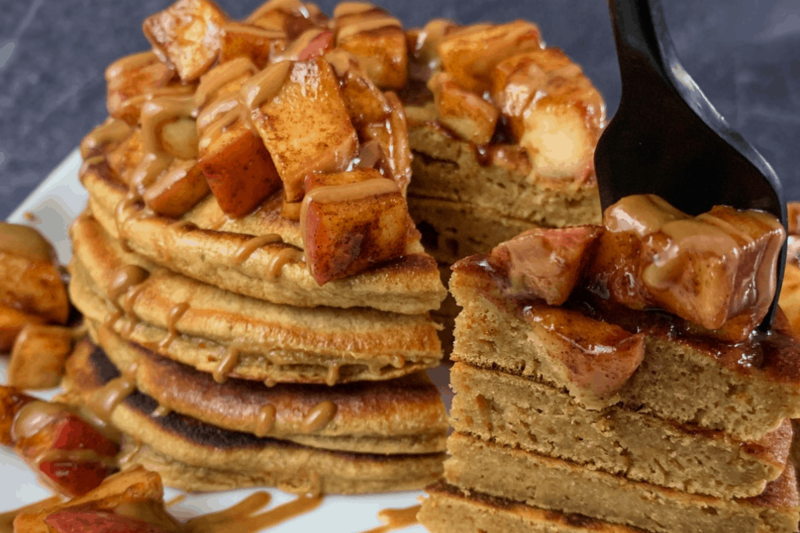 These cookie butter protein powder pancakes go perfectly with warm, cinnamon-ey apples. 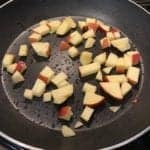 To make the apples, you’ll need to dice half an apple (I used a Fuji apple) and add it to a pan with a bit of nonstick cooking spray. Leave the apples in the pan for about 5 minutes or until it begins to soften. Then it’s as easy as adding some cinnamon, brown sugar or Swerve Brown, and a bit more light butter and stirring everything together. Let them cool briefly and load up your protein pancakes. If you’d like lower calorie pancakes, you can make them smaller. The recipe makes 5 pancakes with a 1/3 cup of batter each. I’m not math whiz, but that’s 1 2/3 cups that could be divided however you see fit. Okay, it’s time to crepe’n through the recipe notes and get in the kitchen. Let me know what you think about these protein powder pancakes by taking a pic and tagging me on Instagram @mason_woodruff. Or you can join my free Facebook group and share it with the Proton Party. 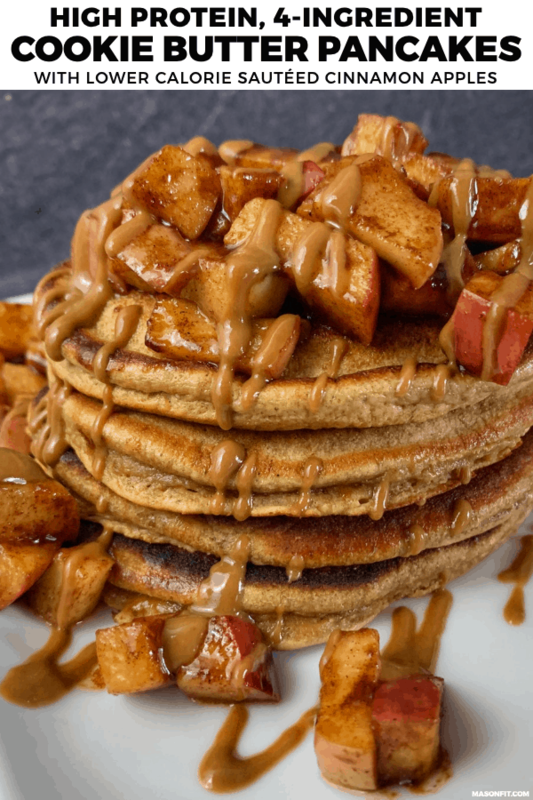 4-ingredient cookie butter pancakes topped with cinnamon brown sugar sautéed apples. 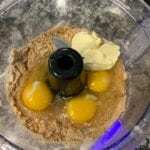 Add the cookies and protein powder to a blender or food processor and blend until smooth. Add the eggs and butter and blend until smooth. Cook for 90-120 seconds before flipping and cooking for another 90-120 seconds. Don’t overcook. Dice half an apple (or a whole apple if you'd like more) and add to a skillet over medium heat with nonstick cooking spray. Cook the apple until it softens, about 4-5 minutes. Add the butter, cinnamon, and brown sugar, stirring well. Remove from the heat and let the apples sit for 1-2 minutes before adding to the pancakes. 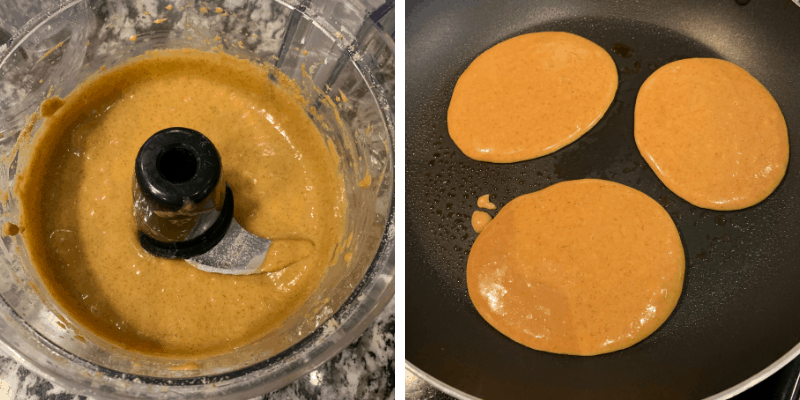 If you'd like a drizzle like you see in the photos, melt 1-2 tablespoons of cookie butter in the microwave for 20-30 seconds. Sugar free pancake syrup or caramel syrup works great, too. 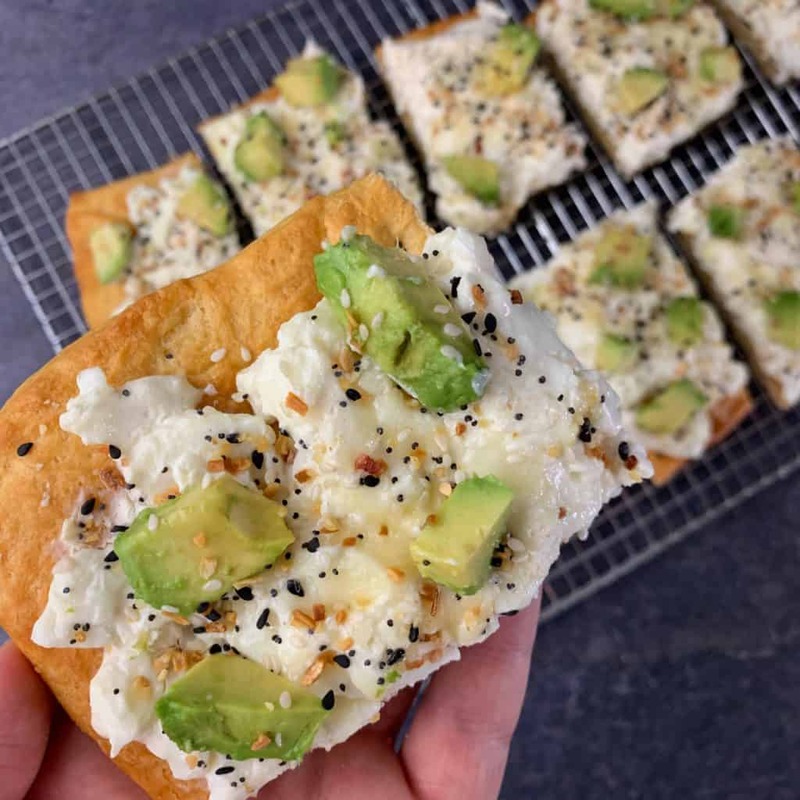 My Everything Bagel Crescent Roll Breakfast Pizza would be perfect for the savory breakfast lover. You can make this as a breakfast for meal prep or feed the whole family on Sunday morning. Another savory breakfast option you might like is my Hot Honey Chicken Biscuits recipe. 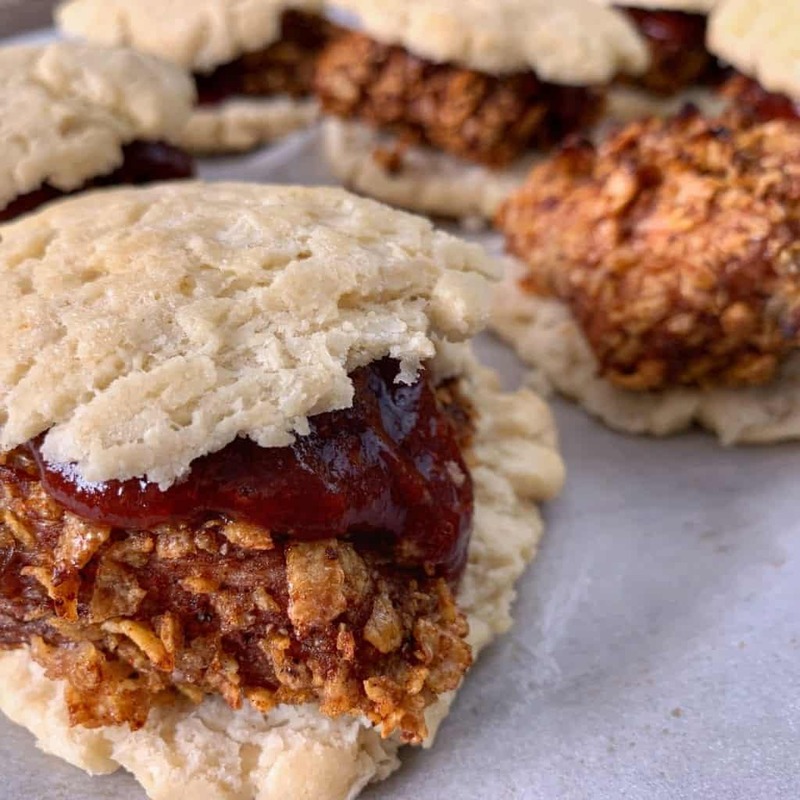 They use a lower carb biscuit mix and are topped with a sugar free raspberry chipotle jam to keep calories under control. 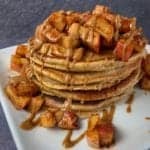 Do the macros listed include the apple topping? Nevermind, I see the marcros don’t include the topping!